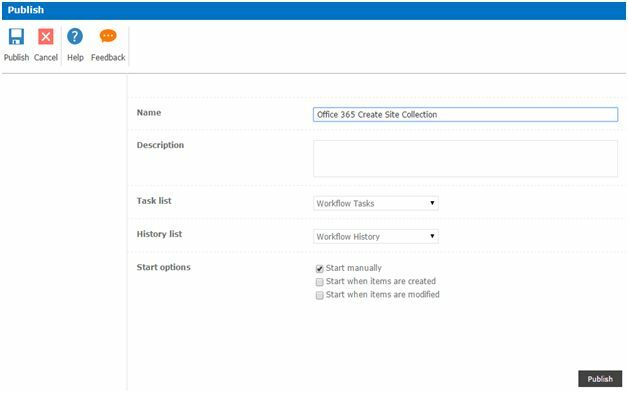 Welcome to an article on how to create a site collection in SharePoint Online and Office 365 using Nintex Workflows.This article will display the action “Office 365 create site collection” and how to use while developing the workflow. This action assists to create a new site collection using workflow. Let’s see the implementation of this functionality. 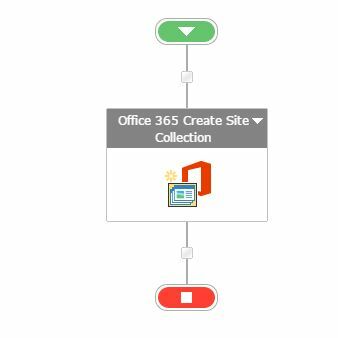 Add the action, “Office 365 Create Site Collection” either by right clicks on the workflow or by dragging and dropping from the left toolbox. 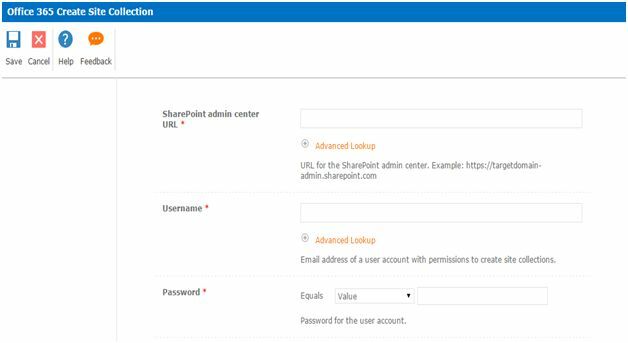 SharePoint Admin Center Url: Provide the Url of the SharePoint Admin Center which workflow can use to create the site collection from. Title: Specify the title of the collection. Url Path: Choose between Sites or Teams as path of the Url. Site Collection URLName: Type the Url path of the collection. Language: Choose a language in which you want the Site Collection in from the drop down. Template: Select a template as in what kind of a site collection you want to be built from the template below. Time Zone: Choose a time zone in which you want the Site Collection to execute dates and time in the site. Administrator: Specify the username of the person who should be the Administrator. Storage Quota: Specify the storage quota of the site collection in MB. Server Resource Quota: Specify the server resource quota of the site collection. Store Site Collection Url: Select a variable to store the Url of the site collection. 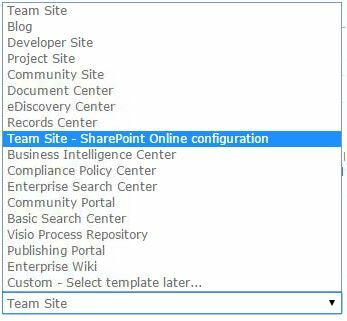 So in this article we saw how to create new site collection in SharePoint Online and Office 365 using Nintex Workflows. 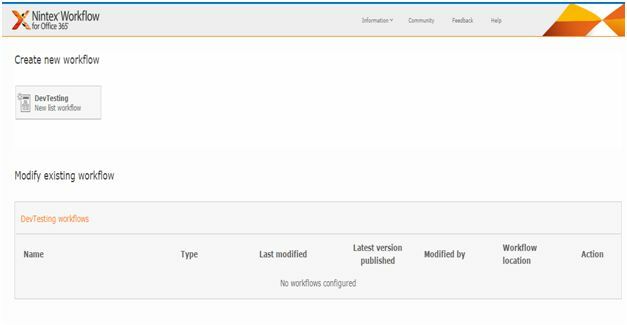 This action will help us to create a new site collection after configuration when the workflow executes. We will see more new articles on the actions of Nintex Workflows in the other parts of the article. Till then, keep learning.